I finally found primary camera. I'm away from home (watching a baby) and have no relevant cords. Here's something that I bumped into on the internet. 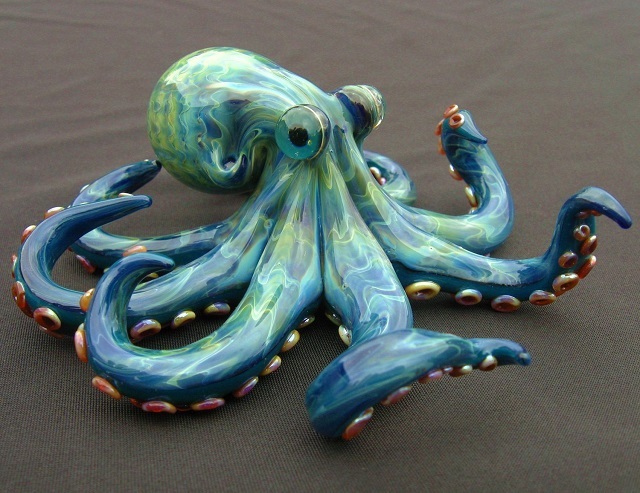 A hand crafted --for the value of "hand crafted" that involves, "glass is too hot to touch when it can actually be crafted"-- glass octopus. I think that's all I'll say because "no relevant cords" includes the power cord and my computer is telling me, repeatedly, that it's going to cut out due to lack of power any moment now.